The Only Salted Caramel Macaron Recipe You'll Ever Need! 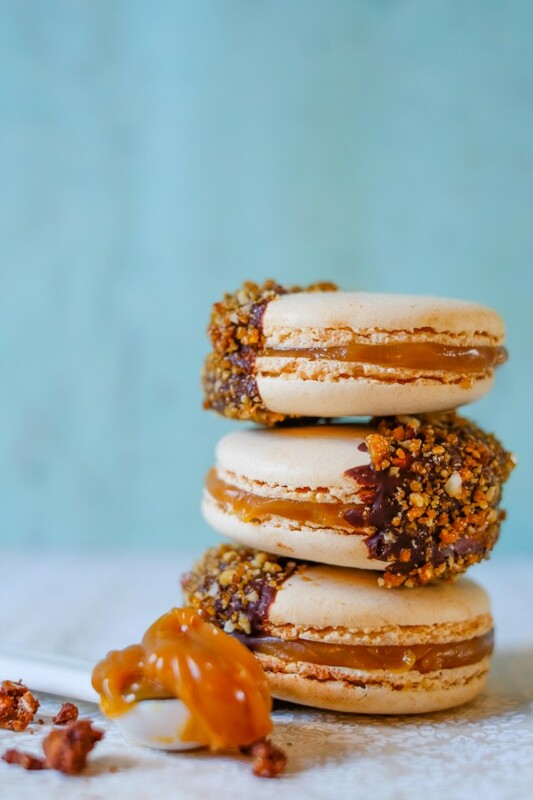 A fabulous Salted Caramel Macaron Recipe. Macarons sandwiched together wih salted caramel, half dipped in Valrhona Chocolate and coated with praline dust.